this latest Gillette ad has made me start looking to join one of those shave clubs. I decided on Dollar Shave Club. So far their stuff is really good and I'm happy to have found an alternative. I love the Gillette Mach3 razors--the best I've ever used--but these razors from DSC are comparable. Just wondering if any of you have joined either Dollar or Harry's? Shave clubs are for suckers or those who have inflated egos with a sense of entitlement. You can just buy what you need at your local pharmacy or supermarket. Last edited by TruthSeeker on February 11th, 2019, 11:35 pm, edited 1 time in total. Although boycotting Gillette for their anti-men hate promotion probably won't do any good, it is our moral duty to do it anyway. I don't care as long as the product works. For me I like Bic razors. Société BIC S.A., commonly referred to simply as BIC and stylized as BiC, is a corporation based in Clichy, France, best known for making ballpoint pens. It was founded in 1945 by Baron Marcel Bich and has become known for making disposable consumer products such as lighters, razors, mechanical pencils, and printed paper products. Talk about biting the hand that feeds them. The term "Shave Club" sounds ridiculous. It'll no doubt attract the "alpha males" though. I used to only buy Gillette. My parents bought BIC when I was a teen, but after trying Gillette, I decided Bic should have been called Nick because it nicked my face to pieces. Indonesian brands I tried were awful, too, worse than nick, so I stuck with Gillette. But I bought a CVS generic razor in a pinch once, and it seemed just as good as Gillette. Gillette prices went way up, and I tried other lesser-known brands and they worked fine, so I am no longer brand loyal to Gillete. It's not worth an extra $5 to me for the brand name if the other razors work just as well. it's just a razor. What more can they do-- put six blades on there instead of 5? I used to only buy Gillette. 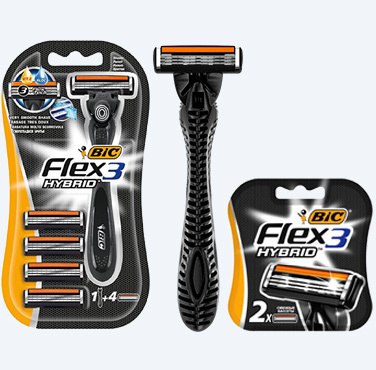 My parents bought BIC when I was a teen, but after trying Gillette, I decided Bic should have been called Nick because it nicked my face to pieces. Bic razors have improved. I don't buy the cheapo ones because they will nick your face to pieces. Do you guys go out to clubs? Has anyone else noticed rap becoming mainstream at clubs?